Die Roten powered to a 6-0 win at home to Mainz on Sunday, with James Rodriguez scoring a hat-trick in a victory which ensured that Bayern lifted themselves back above Borussia Dortmund on goal difference. It was important to improve our goal difference in the last three matches. 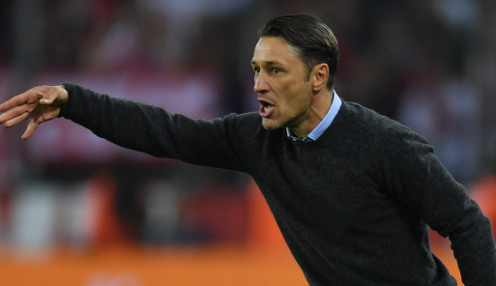 And Kovac was delighted with such a comprehensive success, which came on the back of a 6-0 win at home to Wolfsburg and a 5-1 triumph at Borussia Monchengladbach in their previous two league outings. He told his club's official website: "Compliments to the players and we're pleased we're at the top again. We saw a lot of zest, a whole lot of verve, very many good moves. "Taken altogether it was a deserved win and the right margin of victory. Now we can work calmly and with focus in the two-week international break. "I'm glad we got into the game so well - we were clearly superior from the start. The way we played was fun, we were flexible and exploited the space well. "It was important to improve our goal difference in the last three matches and the table is looking better than in the first half of the season of course." Bayern are currently available at 1/6 to win the Bundesliga title this season, while Dortmund can be backed at 4/1. BVB have dropped nine points from their last seven games, while in the same timeframe Bayern have won six out of seven to overhaul their rivals.